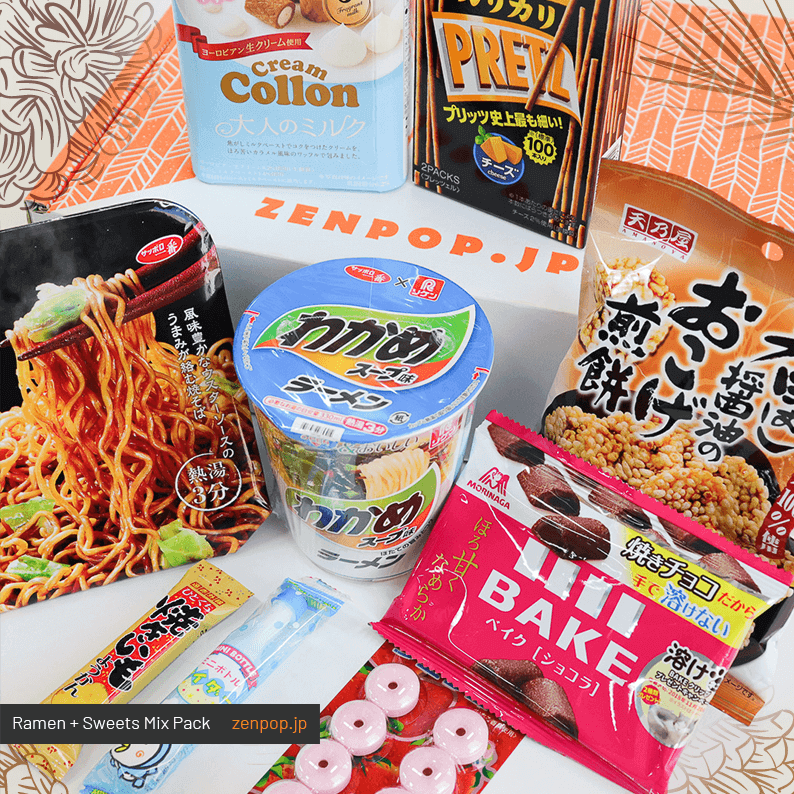 To welcome Autumn coming, warm ramen and small snacks are necessary because in Japan, it is said that Autumn is the best season for eating!! 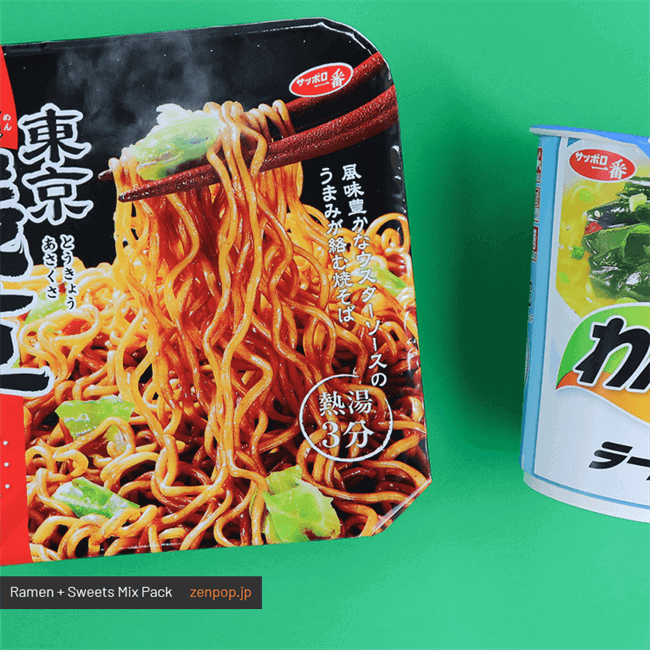 The first noodles inside this pack, the Wakame soup ramen; are not only seaweed! The soy sauce flavour soup is made with scallops, onion, and garlic. Savory smell of sesame and green onion will makes you hungry. Second, the noodles of Sauce Yakisoba -Asakusa, Tokyo are a bit thick so that it would easily mixed with sauce. Sauce which uses Worcester sauce is Asakusa style, one of the ara in downtown Tokyo. Rich European whipped cream with a bit bitter caramel flavor waffle. 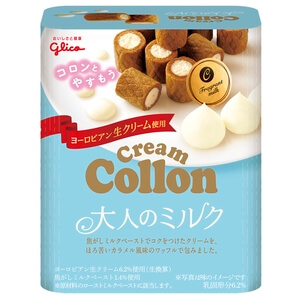 Enjoy the refined sweetness of Otana Collon, which not only children but also Otona (= adult) can enjoy a lot. 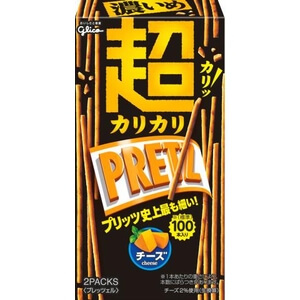 Super Kari-Kari PRETZ Cheese flavor is the thinnest PRETZ ever! “Kari-Kari” is an onomatopoeia which express the sound when we crunch something. There are about 100 PRETZ in the pack, but it would be disappear in few minutes because you cannot stop eating it once you start to! Whistle ramune is very popular among Japanese children from many years ago. 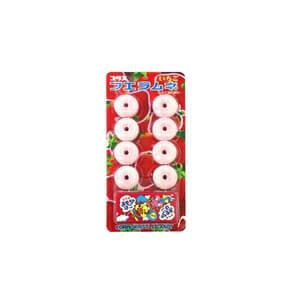 Children love to play the whistle ramune and they love the small toy in the box as well. 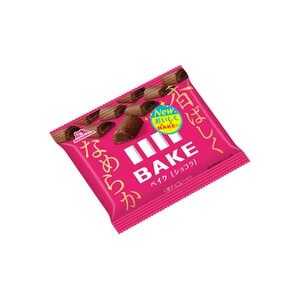 Baked chocolate from Morinaga is bit bitter but very delicious! If you heat up in the oven for 50~60 sec without wrapping, you can enjoy freshly baked chocolate. 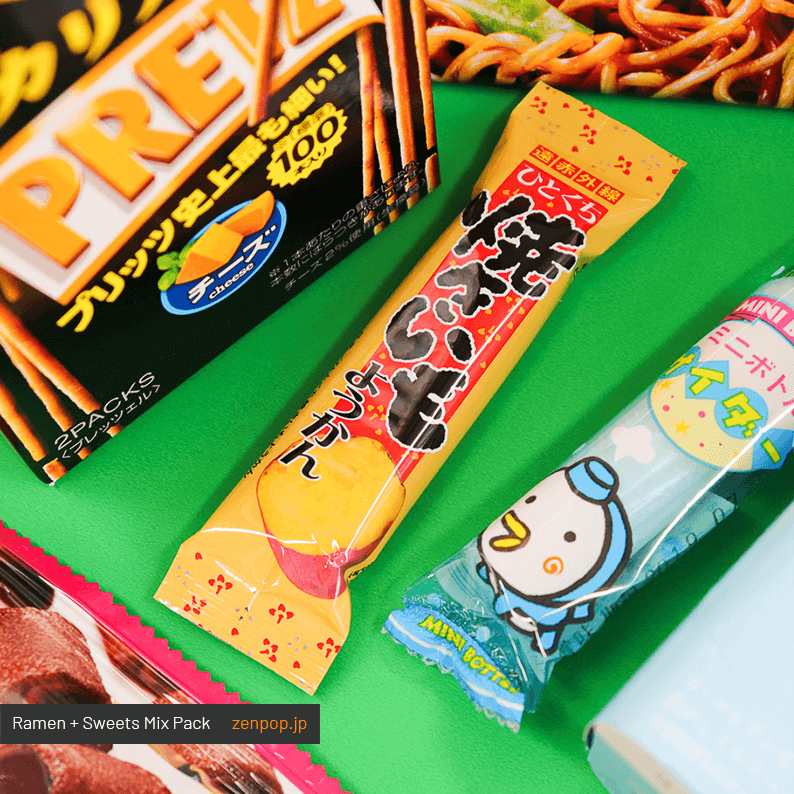 Shoyu Senbei, a mini ramune bottle, as well as a sweet potato youkan were also included in this pack! Let us know which one was your favorite to enjoy in Autumn? ?